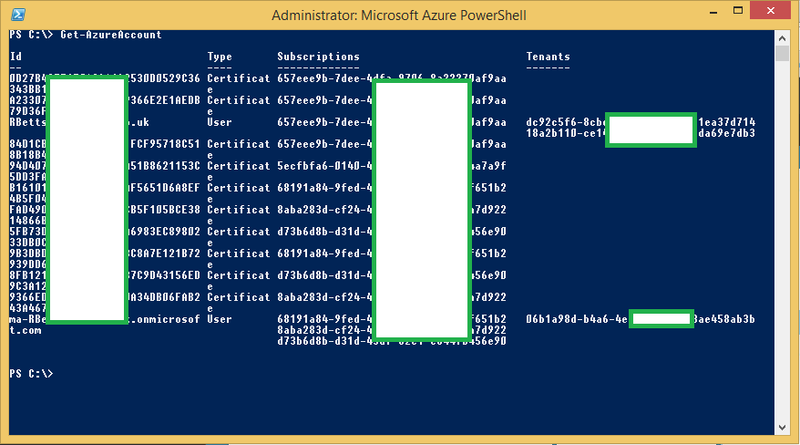 Ryan Betts, Cloud Solutions Architect: Azure PowerShell "Your Azure credentials have not been set up or have expired, please run Add-AzureAccount to set up your Azure credentials"
Azure PowerShell "Your Azure credentials have not been set up or have expired, please run Add-AzureAccount to set up your Azure credentials"
Azure PowerShell throws the error "Your Azure credentials have not been set up or have expired, please run Add-AzureAccount to set up your Azure credentials" when you try to run a PS command against an Azure service. 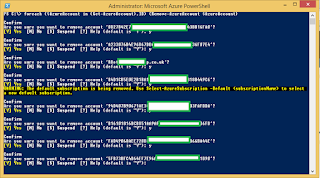 This is using both the Get-AzurePublishSettingsFile and the Add-AzureAccount methods to authenticate to the Azure tenancy. 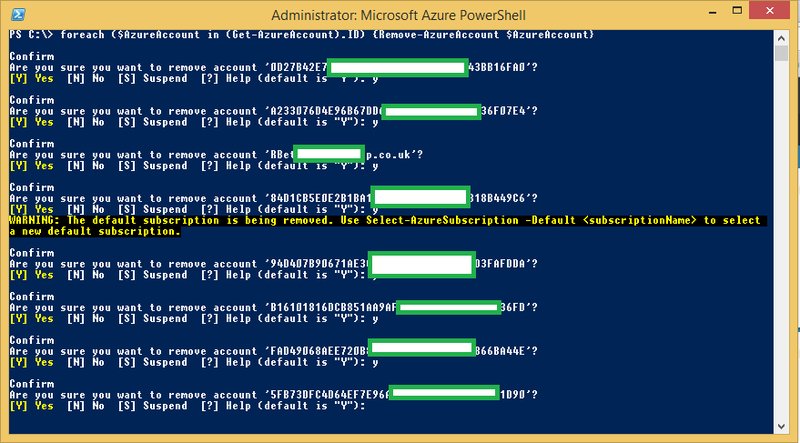 Then try Add-AzureAccount, enter your credentials. 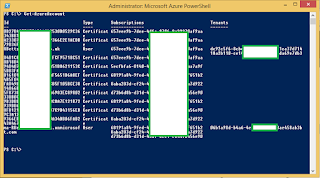 And you should re-authenticate to the Azure tenancy properly. You can now run any commands without being faced with the same error.